Singing Machine Bluetooth Karaoke System Just $34.99! Down From $70! PLUS FREE Shipping! You are here: Home / Great Deals / Amazon Deals / Singing Machine Bluetooth Karaoke System Just $34.99! Down From $70! PLUS FREE Shipping! Check out this Singing Machine Bluetooth Karaoke System which is on sale at Amazon for just $34.99 down from $69.99 PLUS FREE shipping! 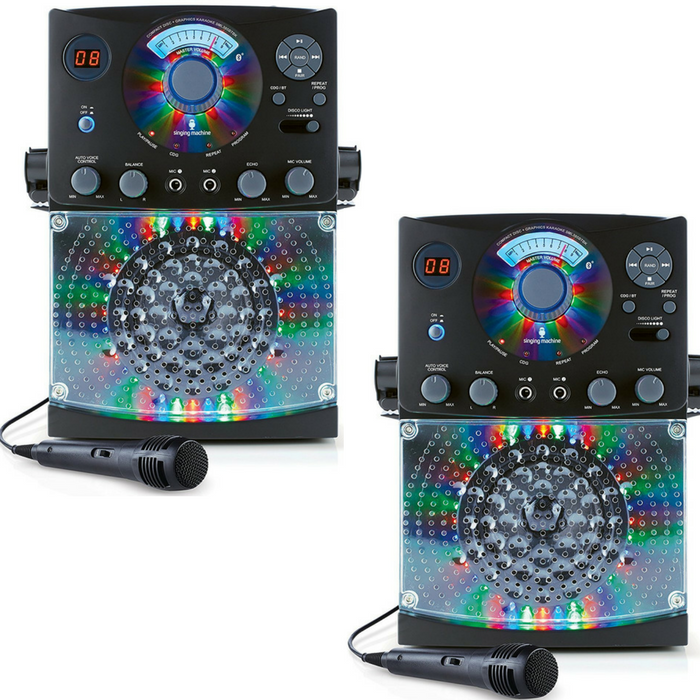 Host a dance party with the Singing Machine Karaoke system, which features a top loading CD Player that plays music CDs and CD + Graphics and Bluetooth audio streaming. LED disco lights with dimmer settings let you control the party ambiance. Bluetooth or auxiliary input lets you connect to other audio devices. RCA output jacks connect to your TV to scroll the lyrics, and the two microphone jacks allow you to sing a duet without sharing a microphone (one microphone included). The built-in speaker provides powerful sound. This is fun doing with family and friends!